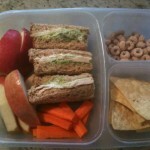 Coming up with creative (and healthful) lunches for your little ones to take to school with them can be a challenge. Throw in a food intolerance or two and you can be left feeling doubly defeated. Trust me, I’ve been there. 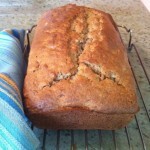 In my house, my 10-year-old son and 8-year-old daughter are on a gluten and dairy-free diet. So if back-to-school season finds you all worked up over what to prepare your youngsters, don’t despair! 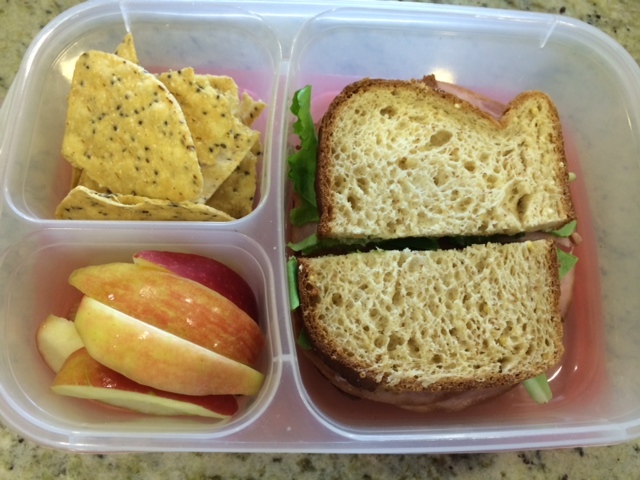 Whether you’re facing diet restrictions or not, school lunches can be made with little fuss. And, once you pull yourself out of that rut, can actually be quite fun. Keep your pantry stocked. It may sound like I’m stating the obvious here, but you really need to make sure you have food in the house. You might have great ideas but if you don’t have the necessary carrots, for example, then there’s nothing you can do. I keep a list of items I always have on hand like carrots, gluten-free bread (I keep some in the freezer, too), almond or peanut butter, jelly, sandwich meat, crackers, applesauce, a can of refried beans and corn tortilla chips. That can make about 3 lunches right there. I also buy a flat of organic apples or 2 bags of baby carrots to limit the number of times I have to go to the store each week. Try new things. Take the time to see what is new on the shelf or visit different stores. I recently found Gluten Freeda’s and Canyon Oats individual oatmeal packets. My daughter loves having this as a snack and it sure beats what the other kids have. We have also found bean dip to make our own 5 layer dip (even if ours just has 3 layers!). Also, Crunchmaster has some new crackers on the market; Grammy Crisps and Cheezy Crisps. Make use of leftovers. I will often purposely make extra at dinner to ensure I have something for the next day. In the past I have sent my kids to school with corn chowder, shepherd’s pie, meatloaf with brown rice, lasagna, Asian noodles with ground chicken, baked beans, risotto, and more. Not sure how to keep the hot food warm? Here’s a tip: Place super hot water in a thermos for about 5 minutes to temper. Once your food is hot, remove water and place food in immediately. It works so well that the food is sometimes too hot 4 hours later! Switch up the sandwich and/or protein. When it comes to sandwiches, find a bread, roll, or wrap that your child likes (for us it’s Canyon Bakehouse bread or Udi’s flour tortillas). My son tends to prefer certain bread toasted and others not. Mayo really helps to keep the meat moist. I found we were eating a lot of turkey and then tried roast beef and chicken salad. They loved the change. I save the PB&J for days I run out of meat. We also use almond butter. 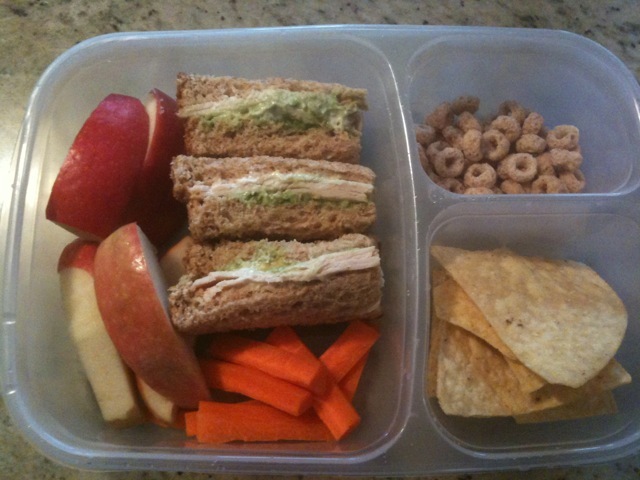 Try different cold lunches. Many of us think lunch is basically synonymous with the sandwich, but there are many other options. Try hummus and crackers, Caesar salad with chicken (hold the croutons or make your own), a hard-boiled egg, cold pizza, sushi (stay away from the fake crab and regular soy sauce if you are gluten-free), bean dip with tortilla chips (mashed beans, salsa, guacamole, sour cream, cheese, etc., based on what your child likes), or rice paper rolls. I have even sent my kids to school with cold waffles and sausage! Don’t forget about the nutrition. As parents, we are responsible for what our kids are eating. Keep the sugar to a minimum, especially refined, to make sure your little ones feel good. Use healthy fats, watch how much processed food they are eating, and encourage water over juice or sugared milk. Teaching them healthy habits now will pay off in the long run. Remember to have your children try food at least 10-20 times before they can really say they don’t like it. Persistence can pay off. 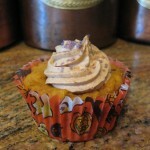 My children have changed their food preferences many times over in the last 10 years. Keep changing it up. 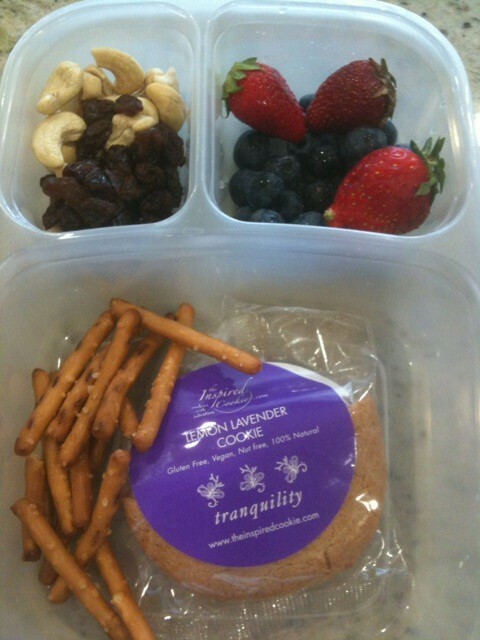 Think of lunch has having 4 components. That is, protein, carbohydrates, fruits and veggies. It might seem corny but this is a great rule of thumb. 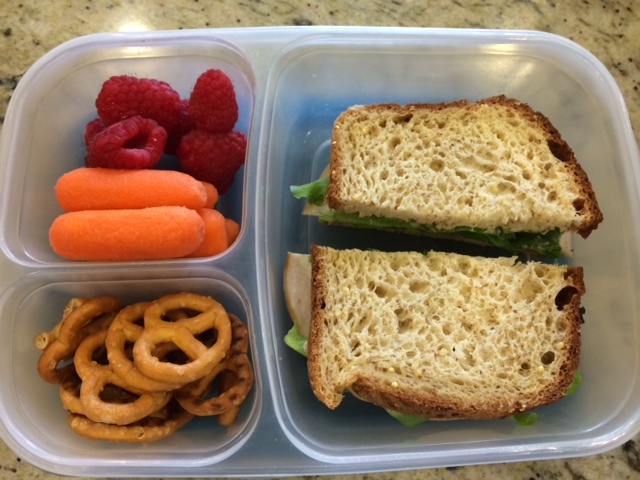 I remember packing my kids’ lunches one day and realized it was almost all carbs. Oops! 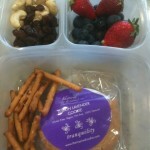 After that, I became much more conscience of what was going into their lunch box. It actually makes it a bit easier to figure out what to give them. Find your replacements. 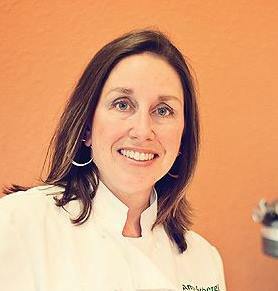 When we first started on a gluten-free diet, there were not many options. Today, it’s easy to find gluten-free food in almost every grocery freezer. I don’t make everything from scratch so I keep things on hand like gluten-free burritos, pot stickers, and pasta dishes. There are also gluten-free “goldfish” crackers, Oreo-style cookies and gluten-free protein bars. Make, bake and freeze. 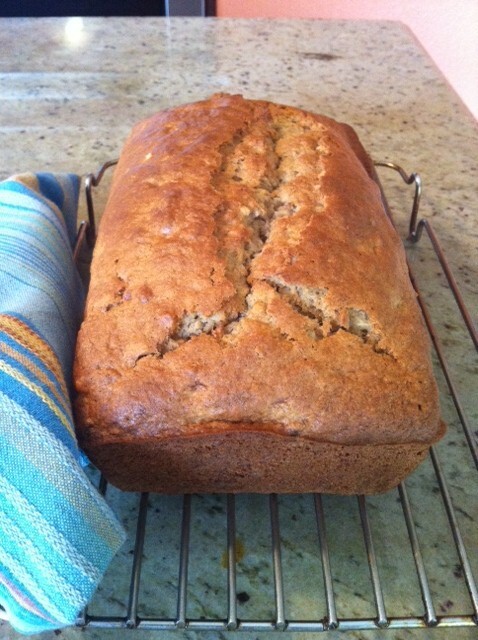 One of my best strategies for being a mom is to freeze baked goods. 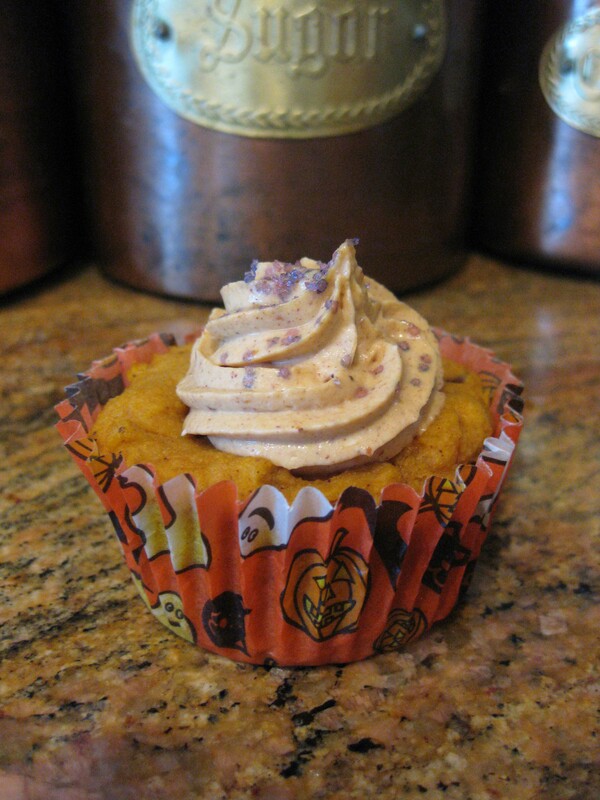 My kids are so excited if they find a blueberry or pumpkin muffin in their lunch box. If I put it in frozen at 7 a.m., it will be defrosted by lunchtime. If you don’t like to bake from scratch, no problem. I love Bella Gluten-Free and Kyra’s Bake Shop. See what others are having. Don’t be afraid to ask your friends what they serve their children or look around the lunchroom if you happen to be there. You’d be surprised at how much we can learn from each other. There are also a lot of great bloggers out there to give you ideas. 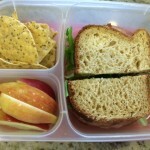 Try Keeley McGuire’s Allergy Friendly Lunch Box Ideas.